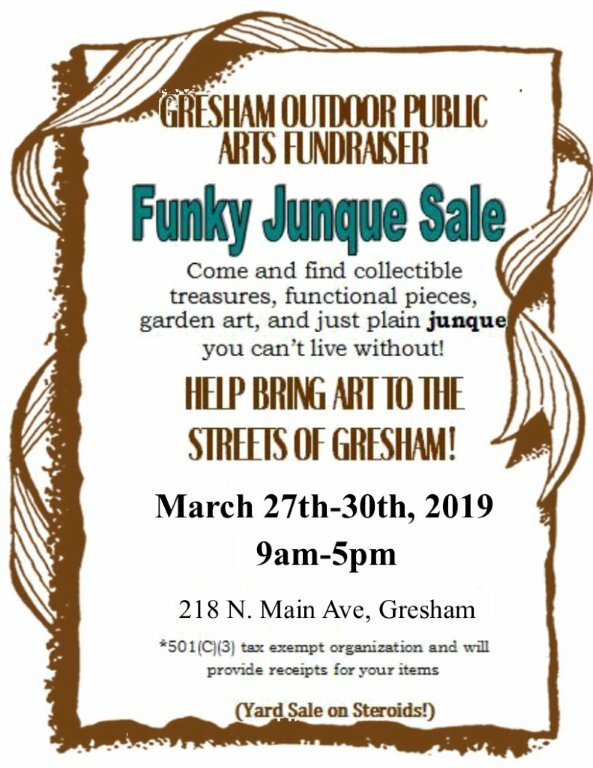 3rd and Main | 5:00 p.m.–9:00 p.m.
Join Arts Festival artists and stroll downtown, enjoy a glass of wine, and peruse a silent auction bene ting Gresham Outdoor Public Art. Items will include donated pieces from some of our favorite artists. While shopping, enjoy award-winning R&B artist Norman Sylvestor and friends on a beautiful summer evening in downtown Gresham. 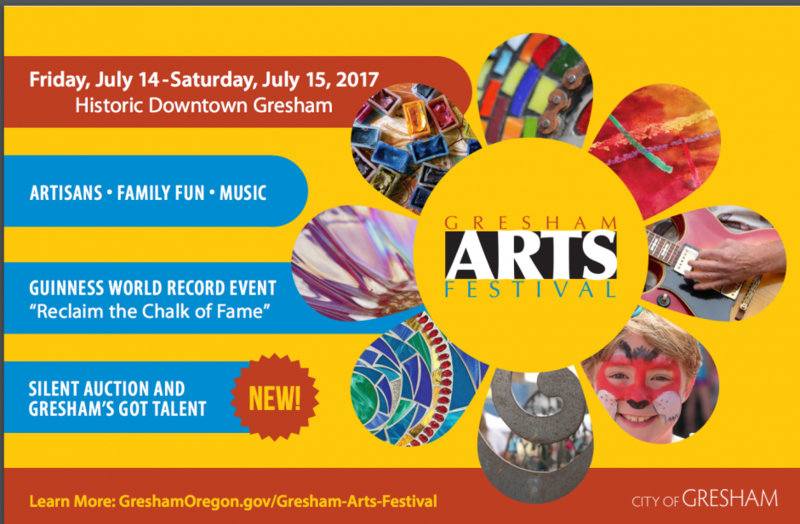 Historic Downtown Gresham | 9:00 a.m.–5 p.m. More than 150 juried artisans will ll downtown streets with an array of unique, handcrafted art. Also featured: live cultural and musical performances, unique shopping and restaurants. At the Arts Plaza: Kids Village | 9:00 a.m.–5 p.m.
Free family fun at the Arts Plaza steps from downtown. Hands-on activities for kids, face-painting, live music and the Children’s Fountain. Guinness World Record Event: Reclaim Chalk of Fame | 9:00 a.m.–5 p.m.
Canada stole our world record, set by the Gresham community in 2015 for the largest display of chalk pavement art. Now, we’re coming together to steal it back in an epic day of chalk art that’s free fun for the whole family. Gresham’s Got Talent | 6:30 p.m.–9:30 p.m.